Georgia has many local and federal thoroughfares for tractor-trailers, semis, 18-wheelers, and trucks of all sizes that transport goods and inventory. These roads are designed to help communities get the products they need. Trucks that navigate these roads have a high responsibility to make sure they follow the rules of the road, obey the rules targeted just to trucks, and comply with industry standards. Trucks are much more dangerous than cars because of their size, weight, dimensions, and the cargo they carry. Truck accidents often result in death or catastrophic injuries, including traumatic brain injuries, paralysis, broken bones, and other harm that requires long-term care. The Savannah truck accident lawyers at Harris Lowry Manton LLP understand the unique complexities of truck accident litigation. We work with trucking experts who know how trucks should work and with traffic reconstruction experts, when needed, to show how the accident happened. The seriousness of truck accident injuries requires a working relationship with the medical profession to properly diagnose and treat the injuries. Death cases require working with professionals who can analyze the amount of economic loss and emotional loss the death caused the family. Driver fatigue. Truck drivers often drive long shift without breaks. They’re paid for how fast they can deliver a shipment. 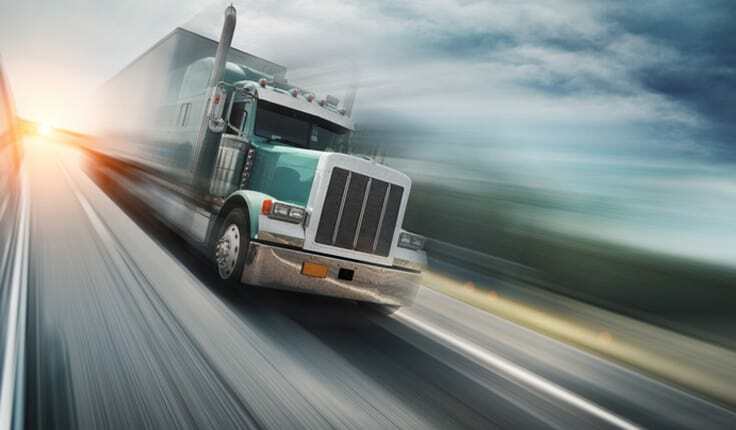 Trucking companies and drivers are required by law to limit the number of hours they drive. Still, many drivers refuse to pull over. They drive while tired which causes them to speed, to fail to observe the traffic around them, and makes them incapable of reacting to emergencies. Distracted driving. Truck driving is a long and tedious occupation. Drivers often make the mistake of thinking that tasks like talking on a cellphone, eating, or playing CDs or DVDs will relieve the tedium. They’re wrong. Distracted driving kills other drivers, passengers, and pedestrians. Drivers who text and drive or use GPS systems that require the driver to take his/eyes off the road are a serious threat to the driving public. Driving while intoxicated. Drunk drivers are the worst threat to other vehicles. There is no excuse for driving while intoxicated. Drunk drivers cross into other lanes of traffic, disobey traffic safety laws, and are a menace to other drivers. Our Savannah truck accident attorneys hold drunk truck drivers accountable for the deaths and injuries they cause. We also bring claims against truck owners who failed to supervise the driver and taverns that knowingly served a trucker who was drunk. Secure shipping loads. The need for profit cannot come at the expense of driver safety. Truck shipments must be securely loaded so they will not spill. Overloaded trucks and unsecure loads can make the truck more difficult to control. Spills can cause multiple tragedies as trucks veer off the road and collide into other vehicles as they attempt to avoid the spill. Failure to inspect and maintain the trucks. All trucks should be regularly inspected — not just yearly, but before each new trip. Trucks that need repairs should be fixed immediately. Trucking companies and drivers should have a checklist of safety items to examine for their type of truck. Poor training. Truck driving is much different than driving a car. The sight lines are different. The ways the truck maneuvers are different. The truck equipment is different. Trucks can jackknife or roll over. Trucking companies should make sure their drivers understand how to drive their trucks before letting the driver on the road. Defective truck parts. Trucks that are designed improperly or made improperly are a danger to everyone. This principle holds true for truck parts as well. Tires should not be bald, brakes should work, and windshield wipers should function. At HLM, our Savannah truck accident lawyers bring claims against manufacturers if defects cause an accident. If you were injured or a loved one was killed in a Georgia truck accident, you need immediate help. As soon as you meet with a Savannah truck accident lawyer at HLM, we will review the police reports, speak with witness, and determine why the accident happened and who is responsible. We work with your medical team to properly evaluate your injuries and with independent doctors when necessary. We fight to get victims full compensation for their daily physical pain, emotional scars, lost wages, and all reasonable medical bills. In appropriate cases, we demand punitive damages. For experienced help now, please call 912.417.3774 or complete our contact form to schedule a free consultation.